My daughter's tea parties are lacking any play food that you'd want to serve at a tea party. Instead of cookies and cakes she ends up offering her dolls a play ear of corn and toy eggs. I'm going to hopefully remedy this situation with this pattern I bought on etsy. 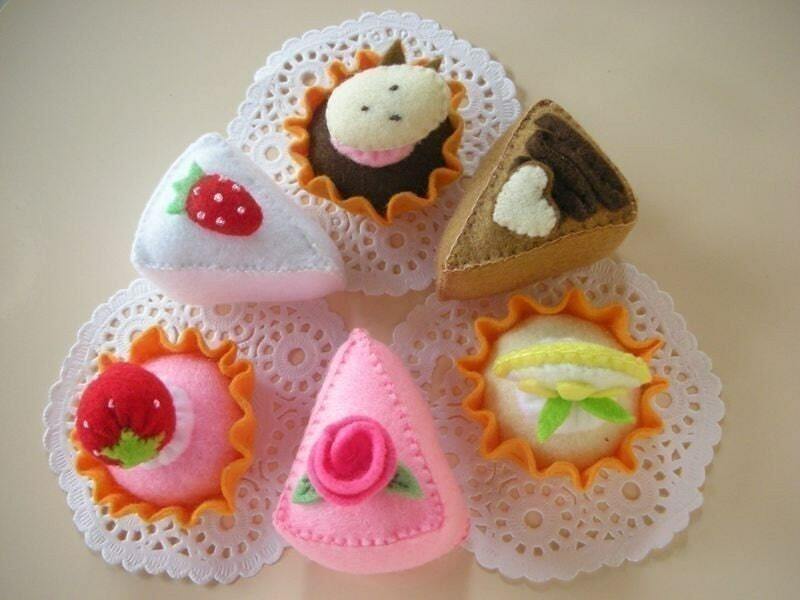 On that same note, I hope to also make some tea bags from this felt tea bag tutorial over at Dream A Lil Dream. The Market Skirt from made. Lately, Penelope has been growing like a weed. 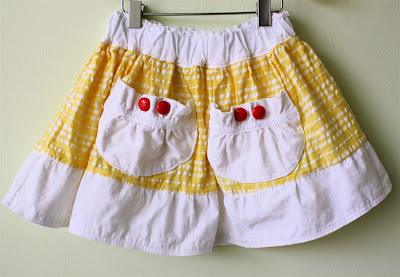 These skirts seem just the quick and easy pattern to make use of all that cute fabric I haven't found a reason to use. And she can wear them at her fabulous tea parties! Even if you're the type of parent who dresses their baby in a Folsom Prison Blues onesie, you'll eventually realize that one day you're going to actually purchase and play children's music for your children. If you're like us, then you probably don't know where to start. After all, how many formerly childless adults do you know who are well-versed in the children's music scene? And if you did know many childless adults who were really into kid's music, you'd probably be a bit creeped out. What child doesn't want a treehouse? Actually, strike that. They usually don't want one, (cue up the big whine) they need one. According to an informal poll Nested conducted (by informal, we mean we asked a couple friends), nobody they knew growing up actually had a treehouse -- they were something of film and television. But we all wanted one. Whether you call them pacifiers or binkys, these little suckers are bound to get dropped, dirty and discarded. Here are two businesses determined to help solve that problem in a fun way. With the recent press about the study conducted by University of Washington, it's very easy to villainize Baby Einstein and its devotees. But when you consider that ten years ago Baby Einstein was started by a mother (out of her home) who wanted to bring arts and languages to babies, it's hard to fault the original intentions.